Timely service and results are what make us successful. Each infestation is unique. That’s why we carefully assess your situation before coming up with a strategy. 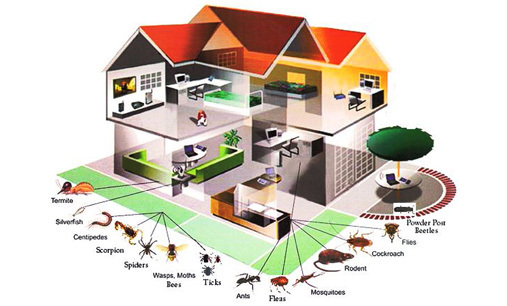 We will also educate you about the process and provide tips on preventing future infestations. Our team uses a proactive approach to address each infestation. We use the latest technology and the right amount of the most effective chemicals to safely and efficiently remove pests from your property. You don’t have to worry about us working on your property, as we are licensed and insured. We will treat your property with the same amount of care and respect as we would if it were our own. Termites, bed bugs, and mice are more than just annoying. Left unchecked, these and other types of pests can damage your property, and endanger your health. If your property has pests, don’t wait until their numbers increase. Act fast, and turn to CimeX Control pest management in Phoenix, AZ for exceptional pest control services. 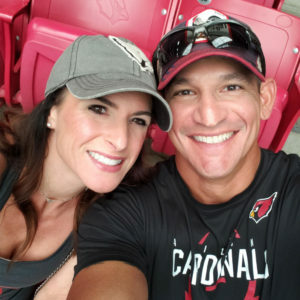 Fernando, always having an entrepreneur drive, decided to start his own company; CimeX Control, which will allow him to build the most exciting, innovative, creative, and employee centric Pest company. Insects can build immunities to chemicals is the same ones are used, we rotate chemicals to avoid this. 100% guarantee that the bugs will subside, we will do what it takes to make that happen. We will educate you on our process, the bugs, chemicals, and anything deemed necessary so we are all on the same page. I have had the pleasure of working with Fernando for several years. He is a man of his word and in the business world that is an understatement! Integrity is his motto and I have personally witnessed this first hand. He is dependable and reliable and I would highly recommend him for anything you employ him to do. It has been a week and I have not seen any bugs anywhere around or in the house. Fernando was very thorough, clean and unobtrusive. He once again explained the work he did and told me to call if there were any problems. I highly recommend CimeX. Very well. Fernando was very professional when he came out to inspect the facilities and provide an estimate. He was very responsive during the process answering all my questions promptly and thoroughly. Before we signed, we discovered a mouse had started visiting and Fernando was prompt in addressing the problem. Fernando did a great job. He was quick, punctual and neat with work done. Haven't seen any bugs, so i am very happy with the application .